Charles J. Jungfleisch, 73, of Georgetown (Greene Twp. ), died Friday morning, June 12, 2015, with his family at his side while in the care at Good Samaritan Hospice, Beaver. Born in Pittsburgh on July 5, 1941, the only child born to the late Adolph and Mary (Manavich) Jungfleisch, he worked as a truck driver hauling steel. Surviving are his wife, Laura P. (Rigsby) Jungfleisch; his children, Rodney Jungfleisch, Mary Jungfleisch, William and his wife Desiree Jungfleisch, and Anthony Jungfleisch, all of Georgetown and beloved grandfather to Dawson, Makayla, and Lillian Jungfleisch. 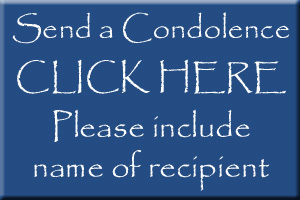 Family and friends are welcome to call in the MCCONNELL FUNERAL HOME, 447 Pine St., Hookstown, PA 15050, Daniel M. McConnell, Owner-Director, on Monday from 2 to 4 and 6 to 8 p.m. where parting prayers will be offered Tuesday at 9:45 a.m. with a Mass of Christian burial to be celebrated at 10:30 a.m. at the Parish Family of St. Blaise, Midland, with Father Michael Yaksick celebrant. Entombment will be in the Beaver Cemetery Mausoleum.